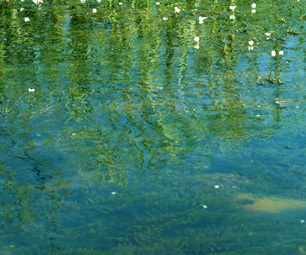 Endothall is primarily used to treat aquatic weeds. Endothall is an herbicide, defoliant and desiccant (drying agent) that is most commonly used to treat aquatic weeds. It's used on potato, cotton, sugar beet, hops, turf and alfalfa crops, and arrives in drinking water primarily through agricultural runoff. Endothall has the potential to cause the following effects from a lifetime exposure at levels above the MCL [0.1 milligrams per Liter]: increase in size of some internal organs, particularly the stomach and intestine. The EPA recommends granular activated carbon (GAC) for the treatment of endothall.